A bright blue sky day. Good for a journey up the coast and into the past. Above: I stopped to take a picture of the anchor on the hill in Macduff. The visitor centre at Culloden is high-tech, swish, clean and pristine, all the things the bloody battle of the past was not. The contrast always gets me. 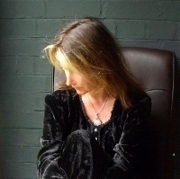 I sit on a soft red sofa looking out at the battlefield, eating my delicious lentil soup and enjoying decadent chocolate cake in comfort and warmth. Compare that to being one of the Jacobite clansmen, having marched across boggy rough terrain in the dark all night, exhausted, starving, about to be slaughtered in a fight so unfairly matched that it was all over in one hour. What would he think of Culloden Moor today and the nice day out it provides for families and tourists? Here ancient burial cairns (estimated at about 4000 years old) are surrounded by circles of stone and trees. It’s the perfect peaceful place to visit after Culloden. You can walk right into two of the three cairns, though the entrance tunnel would have been covered in the past: you would have had to crawl. Let’s finish with one of the aforementioned Highland Coos. There’s four of them in a field next to Culloden. This entry was posted in dark places, green places, life and tagged Autumn, history, Scotland, stone circle, trees. Bookmark the permalink. Gorgeous! Such an emotive place, stirring up stories of centuries … strange how such an iconic battle was fought in the shadow of the cairns reminding us of a sense of place and belonging: the identity of the landscape and its people. Thanks for this, makes me want to visit even more now! Wow, finding Roman pottery, that’s amazing! Objects and places can connect you to the past though… I love those new forest ponies, I lived near them for a short while several decades ago! I had a near death experience (well, one nearly bit me the first time I came cross them as a boy!) and we’ve never warmed to each other. And where we lived in the Forest meant dodging them and their left overs on my bike on the way to school. The Roman kilns though, now that is neat and I’m with you n the connections – holding these pieces just made me stop for moment and appreciate the timelessness of the place. The Romans used an iron age earthwork as their base rather than build a new one. .
Oh! So lovely! And so nice to have you back. I have such amazing photos of Culloden and Clava. We hiked all over there four years ago. 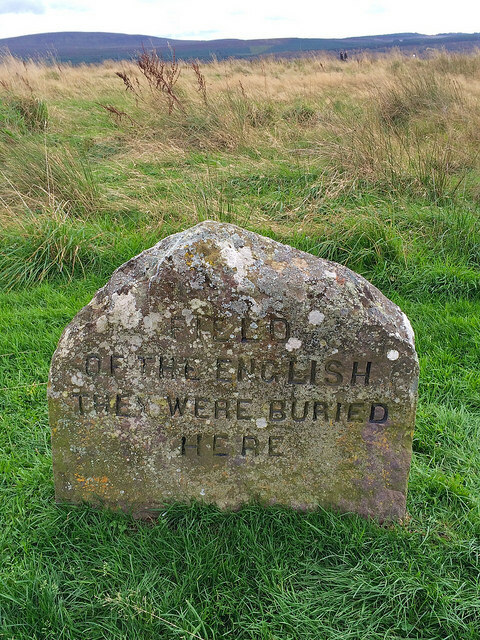 Culloden, the battle field itself, is filled with sadness.. Clava with, well, I guess I can only say ancient spirits. We were there almost exactly this time of year. The light looks the same. How wonderful! Totally agree, it’s really weird to come across that ultramodern (even though it must be quite old now) visitor centre at Culloden, but so many places with a grisly past get turned into a place to sell ice cream. But only 4 Highland cows? Down here in the Peak District, we’ve got dozens. But I know! Highland cows are relatively rare here, what’s with that? 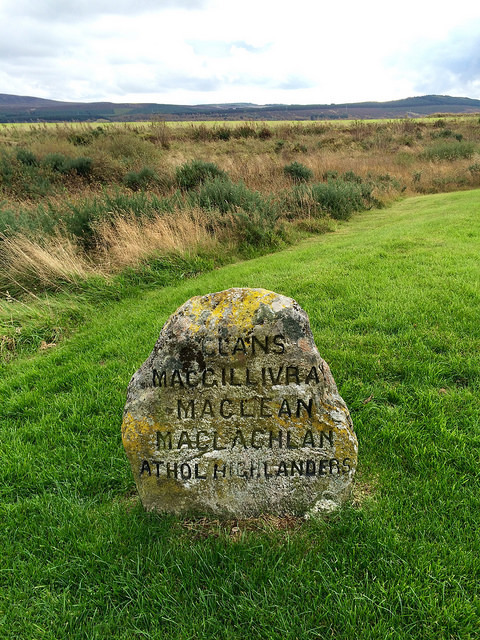 Very moving, especially seeing the Maclean name (one side of the family) on one of the stones. Brings back memories of having visited the battlefield in 1976 and taking a photo of that particular mass grave stone, along with many others. I was unaware of the cairns at Clava then. Another reason to return.